Let’s be honest, 2017 has been far from my best reading year, but that doesn’t mean I didn’t find some new favorites. It does feel odd writing about my favorite books with half a month left to the year, however. So, even though this is called top ten Tuesday, I will be sharing my top five picks of the year instead. No promises, but given how much more free time I will have for the rest of this month than I’ve had for the rest of the year, how much I anticipate the books I plan to read next, and the fact that I finished one of the books on this list yesterday, I suspect there will be a part two with five more books to come. Top Ten Tuesday is a meme hosted by The Broke and the Bookish. This week’s theme is the top ten books of 2017. I did not expect to enjoy this nearly so much as I did, but Asimov’s works have been so praised so highly in sci-fi cannon for a reason. This isn’t actually the work in this series that impacted me most. 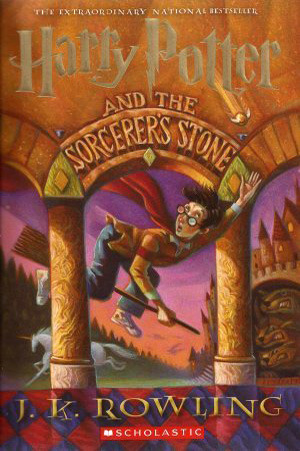 I just figured choosing the first book in a series is most appropriate, so don’t be surprised if one of the sequels appears in part 2. So, I just really like Abel (this book’s robot main character) okay? This book has a lot in common with the one above it. 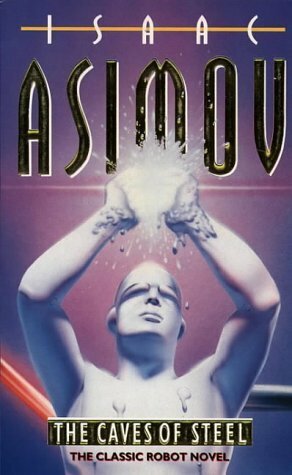 While Asimov’s world-building is better and more complex, this book is more character driven with a more modern appeal. Read my full thoughts in my review. Laini Taylor has a way with words. I love the way she combines lyrical prose with her fantasy settings. Her characters were awesome too. For my full thoughts read my review. Yet another work often praised as sci-fi cannon. I enjoyed the first book in the series last year, and this book proved just as good. 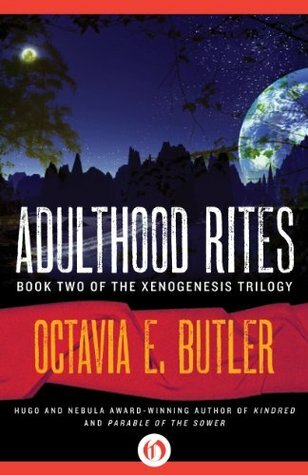 Just about my only complaint about the Octavia Butler books I’ve read so far is that they are so short, but that seems to be part of the style during the time period when most of her novels were written. Most of you who follow this blog must be shocked, (AKA surprised that this book wasn’t the first one they saw on this list) but I loved Oathbringer. I usually wouldn’t put a book I’d finished the day before on a list of favorite books, but there is little doubt in my mind that this one would make the list even if it had been the first book I read this year. I don’t think I loved it as much as the second book, but I still loved it enough that I didn’t feel in any way left down. I also read this over 1000 page book almost entirely in two days. If that’s not a sign that I love it, I don’t know what is. There will most likely be a full review to come once I have more time to process the book’s events and possibly reread it. What are your favorite books of 2017? Have you read any of these? Do you have trouble choosing favorites like I do? I was planning to make a top ten list, but was having too much trouble narrowing it down in a way that didn’t make just about every book fall into a particular category written by a particular author. Instead I will be listing my favorite in each category. Note that this is a list of favorite books I read in 2015. Not all were published in 2015. Picking a book for this category was hard. It was a close call between this book and several others especially the Seven Realms series and later too books in the Daughter of Smoke and Bone series. 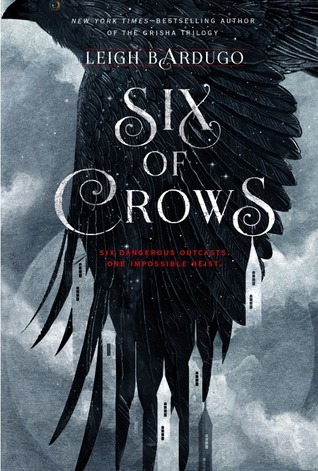 In the end I chose Six of Crows because it has so many different elements that were well executed as discussed in my review. 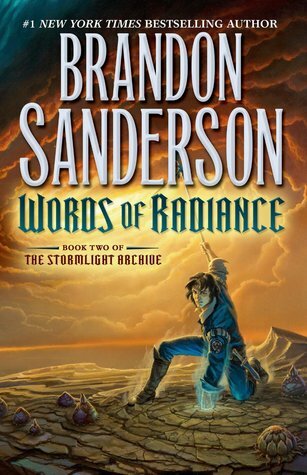 Words of Radiance is the second book in Brandon Sanderson’s Stormlight Archive series which is part of the Cosmere, which is the larger fictional universe in which Sanderson’s adult fantasy novels take place. I read just about all of Sanderson’s currently published Cosmere works this year, and I am now a huge fan. 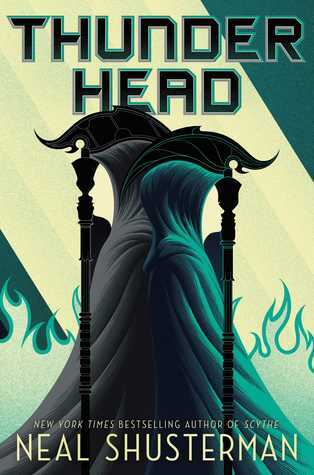 It was hard to chose only one, but this is my favorite Cosmere book so far. I would not, however, recommend readers start with Words of Radiance, not just because its the second book in a series, but also because it’s hard to get through books in the Stormlight Archive for readers not used to long books. 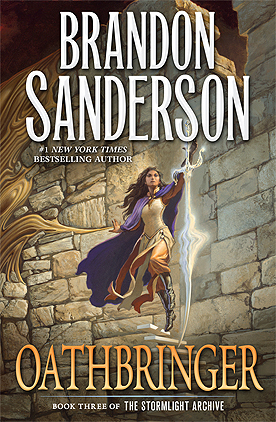 Starting with Mistborn: The Final Empire or Warbreaker might make Sanderson’s work easier to get into. I have not yet reviewed Words of Radiance, but I have reviewed the first book, The Way of Kings. 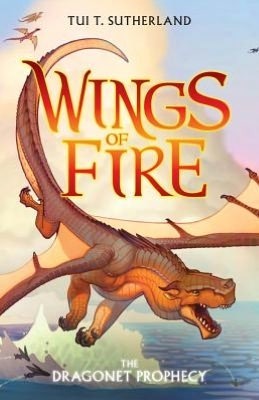 I have always loved books about dragons, and look for novels with nonhuman narrators. For these reasons, this book written from the perspective of a young dragon was almost exactly what I was looking for. If I had read this book while I was part of the intended age group it would probably have become one of my favorite books ever. As it was, I still enjoyed it enough to make it my favorite for this category, and I plan to continue with this series. Choosing a favorite for this category was hard. 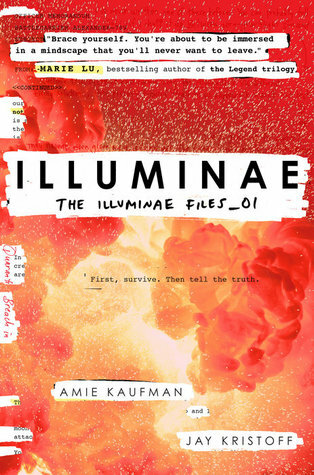 In the end I chose Illuminae in spite of the fact that I had a little trouble getting used to the formatting at the beginning because the second half makes up for the first. I have not yet written a review, but hope to soon. Really enjoyed this book. Have read it around three times now. 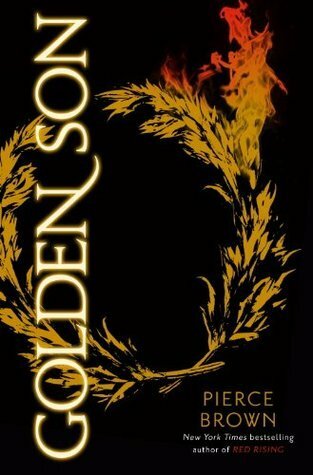 Golden Son is the second book in the Red Rising Trilogy. 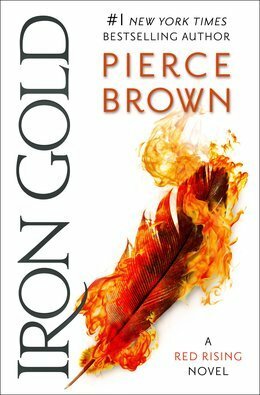 I have reviewed both Golden Son and Red Rising in which I express my enjoyment. This book is in the hazy area between YA and MG, but for the purpose of this list I will consider it middle grade. 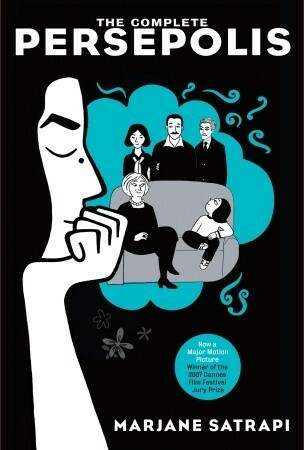 This book was very thought provoking, and I think it would be a great novel for discussion in a book club or classroom. 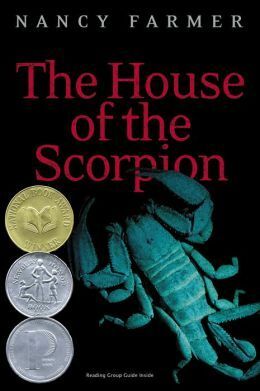 It’s also the only book I’ve read set in Mexico, even if it is called something else in this novel. This book is unlike anything else I’ve read. So different that I haven’t been able to compose my thoughts into a review. It’s hard to adjust to the disjointed way the story is told at first, but once I adjusted this book was heartbreaking and thought provoking. I’ll admit that I don’t enjoy classics as much as some people seem to, but I really enjoyed reading and learning about the symbolism involved in this one. The fact that a large canvas painting/picture of myself I’d forgotten about arrived soon after I’d finished was a coincidence that finalized making this one of my favorite classics. This book was shocking for me because I had no idea any of what it discussed was taking place in the medical community. 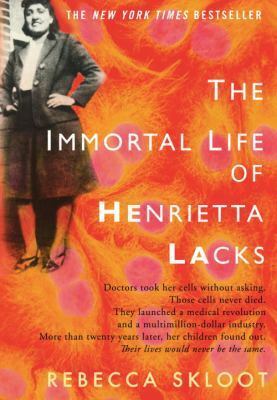 The Immortal Life of Henrietta Lacks explores the ethical questions of who owns body parts after they have been removed for medical reasons though the true story of Henrietta Lacks and her decedents. For those who don’t know this year banned books week was from September 27 to October 3. 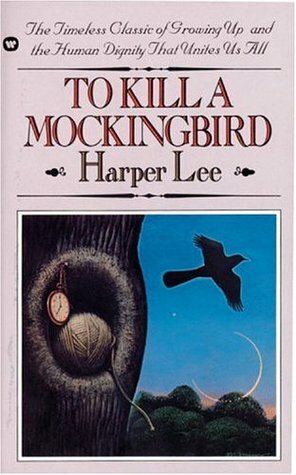 I thought it would be the perfect way to end banned books week by making a list of my favorite banned/challenged books. 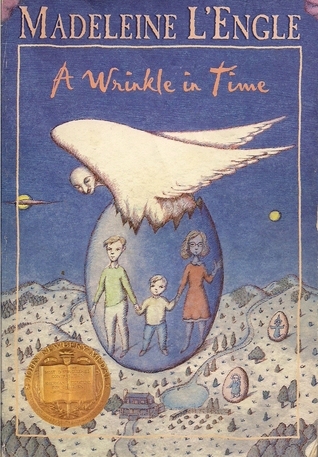 To read more about banned books week please visit the American Library Association’s website. All of the books I have chosen appear on either the list of Top 100 Banned/Challenged Books: 2000-2009 or Frequently Challenged or Banned Young Adult Fiction 2014-2015. Note: I have not read all or even most of the books on these lists. Commentary: It’s been a while since I read this, so I don’t remember much in the way of specifics, but banning this book seems rather ridiculous to me. The only thing I can think might upset people is maybe the dystopian like society run by “IT” or the use of fortunetelling. Commentary: I have met people who are convinced that mentions of witchcraft, vampires, werewolves, etc. are against their religion and would not allow their children to view material related to these topics. That said, I think trying to ban the entire fantasy genre would not only be next to impossible, but also cause much heartbreak. Fantasy is one of my favorite genres and the one that made me fall in love with books in the first place. If I had not been allowed to read fantasy growing up I don’t think that I would love reading nearly as much as I do today. I don’t love Harry Potter nearly as much as most people seem to, but I did really like it and see how it has had a huge positive impact on many people’s lives. Commentary: Overall I really enjoyed this biography told in graphic novel form. I don’t often finish biographies when I start them, but I read this one over the span of two days. That said, my least favorite part was when main character went to Europe and (highlight the rest of the line to reveal spoilers) starts using drugs. That made me lose some of my respect of her for a while, but later when she started putting her life back together I regained it. The reason the book is banned/challenged probably has a lot to do with the usage of what I mentioned in the spoiler section. The other reason probably has a lot to do with the fact that it is set primarily in Iran, and a lot of people probably just hear “Iran” and become paranoid about it “indoctrinating their children with Muslim ideals” or something like that. 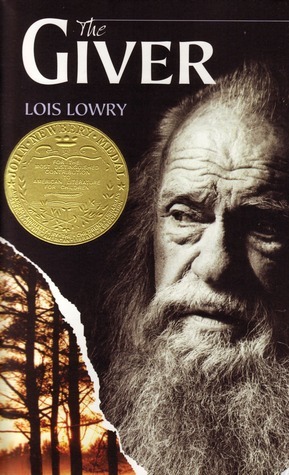 Commentary: This was the book that essentially introduced me to the dystopian genre. It helped begin a trend in my reading that became so excessive that I ended up needing to stop reading dystopian completely for years because I was so tired of it after reading so many. I’ve only very recently started to lift my self-imposed ban on the genre from my reading choices. Although I did “ban” myself from reading dystopian novels for a time, I think a self-conscious choice not to read books about a certain topic is very different from from someone/something other than myself determining I should not read a book. I suppose this novel does have a subtle religious and political agenda, but I don’t fully understand why people want to ban it. I view it as more of a conversation starter than a book that actually directly manipulates people. Commentary: The only reason I can think of anyone would want to ban this book is to avoid discussions of race, and I don’t think that is a good reason at all considering this book’s message is pro-equal rights. In 2014, I read a total of 77 books, all of which are pictured above, and I ended the year currently reading three: The Winner’s Curse, Pride and Prejudice, and The Fire in Fiction. Of these I will be choosing my 10 favorite books and series I read in 2014. Before I continue I would like to point out that just because a book I read didn’t make this list doesn’t nessissarily mean I did not like it, or I don’t think the book is worthy of the praise it is given. For me how much I enjoy a book has a great deal to do with timing. I need to be in the mood for it, and I realize that this list is heavily influenced by this fact. 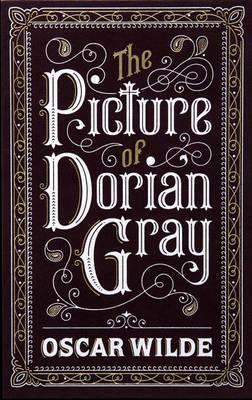 This book made the list not so much because of it’s content, but because of the circumstances under which I read it, and the length of time which I have been reading this series. I read around a fourth of this over 700 page book while in the middle of a lock down that lasted the entire school day, and an additional roughly two hours after school ended. Without this book I would have been bored out of my mind, focusing on the fact that there was no way to access a bathroom, and pacing back and forth in the confines of our small classroom complaining about how much I never wanted to see the room again. Instead this book inspired me to write a middle grade story about faeries, quite a bit of which was planned during this time period, along with other stories planned but not yet written inspired by the event itself. What kept this book from being higher on my list is that I felt some of the content setting the stage for the next series in the Shadow hunter Chronicles was unnecessary, and I feel that the characters’ personalities weren’t entirely constant with previous books in the series. I have put off reading this series for years. Back when I was 12 I was a fan of Twilight, but have made an effort to avoid books Vampire related ever sense, especially those with the word “Vampire” is in the title. I like this series for its suspense. Once I start reading I can’t seem to put these books down. These books made it extremely difficult to stop in the middle of a series to finish my summer reading. This book was fast paced and engaging. It reminded me a lot of the Throne of Glass series which I also enjoy quite a bit. What kept it from being at the very top of this list is that I’m not sure I want to continue. The other books in the series don’t seem to have very good reviews. If anyone has read the other books in this series I would appreciate them leaving their opinion in the comments below. I really enjoyed this retelling/reimagining of Alice in Wonderland. I had a hard time getting into book one, but once I got engaged in the story I absolutely loved it. This version of Wonderland was well thought out, and the small details helped make the world feel real to me. My one complaint is the love triangle. I have been a fan of Garth Nix since I was about 11-years-old when I read his Keys to the Kingdom series. I often struggle to get into his books, but I love the world building which is what keeps me coming back to read more of his novels. My favorite book in this series is book two, and I’m not sure that it’s necessary to read book one first although it would be helpful. A prequel to the trilogy was recently released, but I’m not sure if I will read it as it seems to be getting mixed reviews. I read book one in a single day on a school night. This almost never happens because it usually takes around 50 pages or so for a book to truly engage me. Also, if it happened all the time I would never get any sleep and would have terrible grades. My favorite of the two was Angelfall. 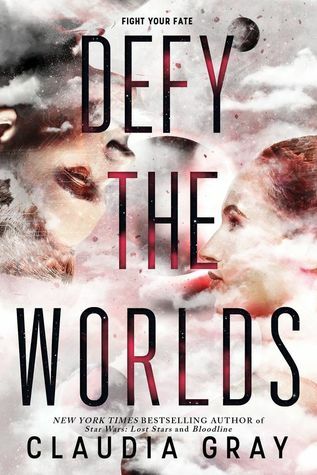 World After was still very good, but I liked the first book much more. My only major complaint about this series is the cannibalism as I feel it is unnecessary, and a distraction from the overall plot. This is the first Brandon Sanderson book I’ve read, and even though superheros aren’t something I typically enjoy, I loved the world-building in this book. I already own the box set of the first three Mistborn books. If I weren’t so intimidated by their length I would have started them long ago. I want to read the Mistborn books when I have a lot of time set aside to read uninterrupted which is unlikely to happen until next summer. The sequel comes out in a few days on January sixth, and I can’t wait to read it. 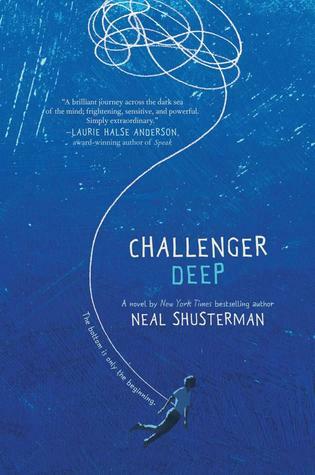 Neal Shusterman is one of my favorite authors. I love the way his world-building is so thought out, and how his books make me think, but at the same time how I never feel as if he is trying to manipulate the reader into thinking a certain way. The first book in the Unwind Dystology will always be my favorite, but this series and Bruiser are really good too. I can’t wait to read more of his books. This series falls somewhere between middle grade and young adult whereas I feel Unwind is most definitely young adult rather than being able to fit into either category. 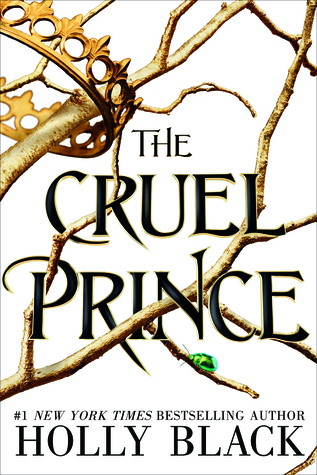 My favorite book out of the three is Cress, but I enjoyed all three of the books that have been released so far. Most series seem to have an amazing first book, but then the rest of the series ends up being either just okay or downright terrible. Not so with this series. I love the way this series incorporates familiar fairy-tales, but is still it’s own original story. The interaction between characters is great, and I love the way each book introduces a new story arc while still incorporating the old ones. I theorize this is how the series succeeded while others have failed to keep my interest after the first book: by having each new novel focus on a new character but still having old characters narrate. The symbolism from the fairy-tales is another one of my favorite aspects of this series. I have some problems with the believability of the world building in this series, but am willing to overlook this because everything else about it is amazing. This is the best conclusion to a series I have read in a long time. It’s also one of the only books to have actually made me cry. Books often make me teary-eyed, but this is one of the only ones that has made me sob. I wasn’t prepared to like this book as much as I did since book three was my least favorite book in the series, but it’s a tie between this book and the first as to which I love more. I’ve been reading this series since my freshmen year of high school, and it’s hard to believe it is finally over. 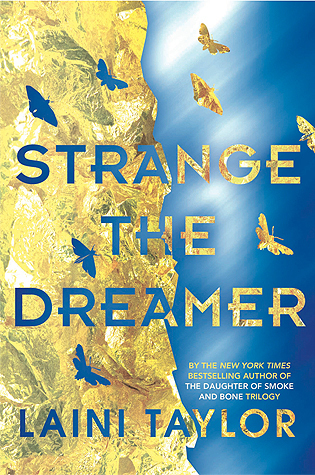 At the same time, I can’t wait to read more of Neal Shusterman’s books. His ability to shuffle between many characters and still give each a unique voice and personality is amazing, the world building in all of his books I’ve read has been well thought out, and I said this already, but I love the way his books make me think.